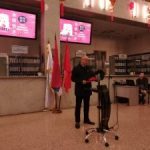 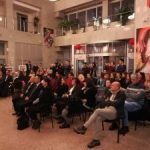 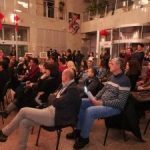 On Friday, January 25th on Megatrend University in Belgrade, the beginning of the Chinese New Year has been ceremonially celebrated. 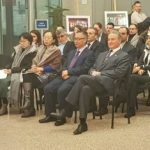 Manifestation which was attended by High Representatives of embassy of the People’s Republic of China, Russian federation and Islamic Republic of Iran in Belgrade was opened by the deputy rector of Megatrend University Prof. Dr. Miodrag Jevtic, director of Confucius Institute on the University of Novi Sad Prof. Dr. Hui Chen and prorector of international cooperation department of Megatrend University Prof. Dr. Dragan Calovic. 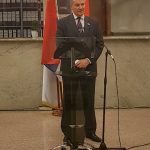 In their speech they highlighted the importance of the cooperation between the people of Serbia and China, and wished for further development of this relationship in this new Chinese year. 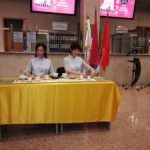 Throughout the solemn program, which was prepared by the students of the course of Chinese language on Megatrend University, coordinated by our professor Atena Chen Hui, the present guests had a chance to meet with the traditional customs of celebration and congratulation of new year in China, the tea ceremony, and traditional Chinese dance. 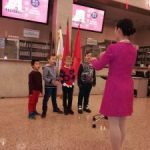 Special guests of the celebration were the students of International school Prima in Belgrade, who introduced themselves by performing the song “Where is the spring?” in Chinese. 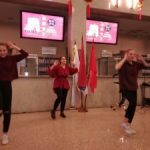 The begging of Chinese New Year is traditionally celebrated on our university in cooperation with Confucius Institute in Novi sad, which is year by year attracting more and more attention. 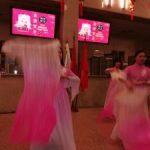 As a reminder, Chinese center was founded at Megatrend University in October 2012 in order to bring closer the Chinese culture to our domestic public and deepening the academic cooperation between the two countries. 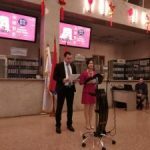 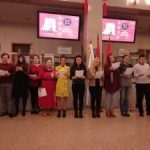 Besides the Chinese language courses, the Center regularly organizes a series of actions, which, next to Chinese New Year, represent a significant contribution to better introduction of our public with the values of Chinese civilization and expand the friendship between the people of Serbia and China.